If you've been following my blog for a while you may have noticed things have been rather quiet around here lately. I'm not quite sure why really, whether it be a combination of being tired and lack of motivation or hating my photography and house but I haven't been posting much at all! In fact I think I've only published about five posts in the past month which is a huge drop from posting 20-40 a month which I had been doing consistently over the past few years. 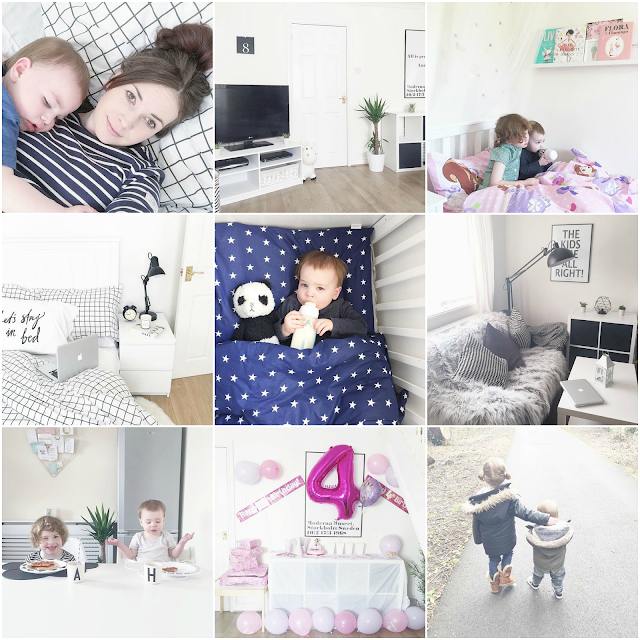 I've now been blogging for over four years and a lot has changed since then, in my personal life and in general which means blogging has been the last thing on my mind. I'll be honest, I don't enjoy it as much anymore. This is coming from someone who used to blog practically 24/7 and would always be seen sat on her laptop until at least two in the morning. Now my evenings consist of me relaxing on the sofa watching crappy TV browsing Facebook or online shopping for hours instead of doing any blog related work and I'm asleep by 1am. I've had moments in the past where I would be unmotivated for a few days here or there but I would always manage to get up a couple of posts a week, I think I'm now past that stage and don't think I'll ever get my motivation back with this blog if I'm honest. Which is a huge shame as it's been something that I've been passionate about for over four years now. Who knows, I may suddenly get some motivation back and be inspired to blog again but right now my passion for this blog has completely gone. I hope you'll stick around as I'm definitely not saying I won't be blogging on here again but it won't be as regular as it used to be. I have however recently set up another blog, and you're probably thinking why if you're unmotivated and not posting on this one but that's the thing, when I get bored I start something new to try and get my motivation back again. Anyway, I set up Living On A Budget which is a blog to document my journey to becoming a first time buyer which I hope to achieve in a few years time and I've been posting on it for the past couple of weeks whilst I haven't on here. I've started saving for a deposit and have been really into budgeting and managing my finances recently which is why I thought it would be a good idea to write them down and also share my tips along the way. In other news I still need to finish decorating the kids rooms, which is probably why I don't have much to post about as I used to share a lot of home decor posts. As I'm trying to save money it's kind of taken a back burner however, I did buy Amelia a big girls bed this week as she was out growing her toddler bed. Her room now seems to have much less space to work with so I need to clear out some stuff before I get to work on it. I'm also debating waiting to finish off Harrys room until he's in a toddler bed, but we'll see as I'm always changing my mind! I need to finish off the living room and kitchen dining area however I'm getting really uninspired with all the monochrome decor I have at the moment and seriously considering going back to country/shabby chic but I can't make my mind up! Oh I wish I had my own house to do what I like with it! Anyway enough of the rambling, I just wanted to check in and say that I'm still here (if anyone is still reading my blog that is) and hopefully I'll be back to blogging more reguarly soon! Your post is very informative. Thanks for sharing!